Love Winter. Love snow. Love Skiing. 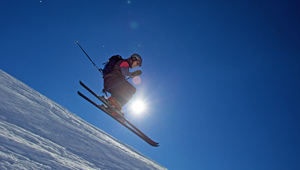 We pride ourselves on delivering bespoke and unforgettable corporate ski weekends. With permanent staff based out in the French Alps, we know and love the resorts we ski and we deliver first class short breaks in all the resorts we visit. Entertaining your clients requires a level of luxury and sophistication. The aim is to get to know your clients better and spend some quality time with them. We know that a resort like Courchevel 1850 has some of the world’s finest hotels and exceptional, stress-free skiing, ideal for subtly impressing your clients. Our knowledge of the Alps means that we can create the perfect match between your ski weekend destination and your company and clients. In addition to skiing, we organise themed evenings, the ‘skidoo grand prix’, snow rafting (yes, in an actual river raft) and tobogganing to name just a few. We love to have fun and our dedicated and (very) enthusiastic team are with you and your clients throughout, ensuring that every aspect of your event runs seamlessly from start to finish. Please note that this is a provisional itinerary and that timings may vary. All of the above details are suggestions and can be adapted and changed according to your needs and ideas. If you are interested in hosting a ski event, or any other event for that matter, call us on + 44 (0) 845 460 0606 to discuss your ideas and requirements. 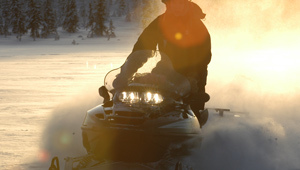 Our annual ski event is one of the most influential fixtures on our calendar. Holding an event such as this really gives us the opportunity to get to know our clients better. I now continually call on your team every time we run a ski event because I feel absolutely calm and relaxed, knowing I can leave the organisation to them. 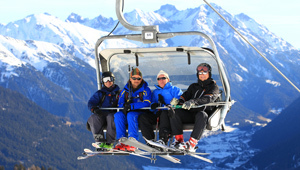 I would recommend you to anybody considering a corporate ski event of any kind.